Although the archaeological discovery of Machu Picchu came nearly a hundred years ago, historians are still unsure of the function of this ancient Inca citadel. 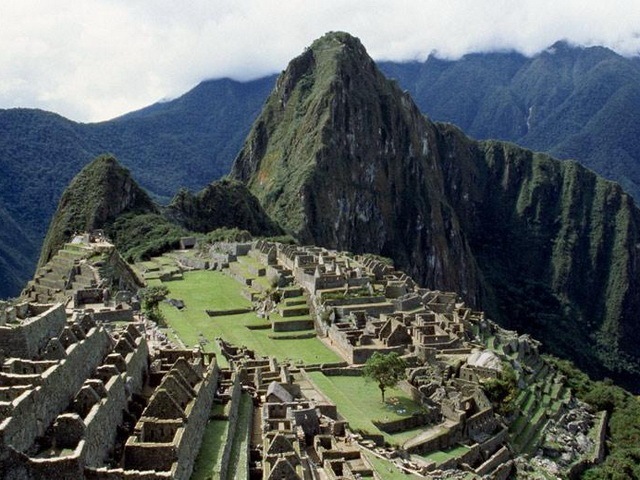 The Inca had no system of writing and left no written records, and archaeologists have been left to piece together bits of evidence as to why Machu Picchu was built, what purpose it served, and why it was so quickly vacated. The breathtaking city of Petra was a vibrant trading hub that vanished from most maps in the seventh century A.D. It lay beneath a thousand years of dust and debris when, in 1812, a Swiss scholar disguised as a Bedouin trader identified the ruins as the ancient Nabataean capital. Spread throughout a series of remote desert canyons in southern Jordan, Petra arose more than 2,000 years ago at the crossroads of key caravan trade routes between Arabia, Syria, Palestine, and Egypt. The Nabataeans carved most of the sprawling city’s buildings, including temples, tombs, and theaters, directly into the region’s towering red sandstone cliffs. Here, a Bedouin walks his camel past Petra’s most famous building, Al Khazneh, or the Treasury. The Indus Valley civilization was entirely unknown until 1921, when excavations in what would become Pakistan revealed the cities of Harappa and Mohenjo Daro (shown here). This mysterious culture emerged nearly 4,500 years ago and thrived for a thousand years, profiting from the highly fertile lands of the Indus River floodplain and trade with the civilizations of nearby Mesopotamia. There is evidence that the ancient city of Palmyra, also known as Tadmor, was in existence as far back as the 19th century B.C. Its importance grew around 300 B.C. as trading caravans began using it as a way station between Mesopotamia and Persia. Palmyra’s strategic location and prosperity attracted the interest of the Romans, who took control of the city in the first century A.D. The earliest Maya began to settle the dense rain forests of southwestern Mexico and Guatemala some 3,000 years ago. For nearly 1,400 years, settlements arose throughout the region, with some, like Tikal and Palenque (shown here), expanding into large, vibrant city-states. Myth, folklore, mystery, and intrigue surround the ancient city of Troy like no other ruin on Earth. Once thought to be purely imaginary, a prop in Homer’s epic poem The Iliad, excavations in northwestern Turkey in 1871 eventually proved that the city indeed existed. In 1871, German adventurer Heinrich Schliemann began digging at Hisarlik, Turkey, (shown here) in search of the fabled city. His roughshod excavation wrought havoc on the site, but revealed nine ancient cities, each built on top of the next and dating back some 5,000 years. At the time, most archaeologists were skeptical that Troy was among the ruins, but evidence since the discovery suggests the Trojan capital indeed.